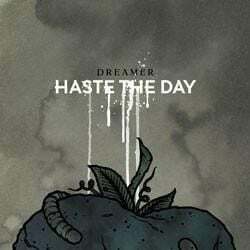 On their fourth full-length, Haste The Day are showing signs of restlessness. But they aren’t getting soft. Dreamer displays a band at its musical apex: tight, precision metal that’s augmented with serrated melody, ominous tones and seamless time changes. This time, however, they aren’t continually operating at top speed. “An Adult Tree” is heavy on atmospherics and sodden strings, while the hazy, meta-musical “Labyrinth” enters the listener into a headphones-wearing world. The quiet, contemplative “Autumn” is resurrected from their EP to end this otherwise ruthless set on a meditative note.